Oregon Senator Richard Neuberger‘s bill to establish the presumed site of Fort Clatsop as a national memorial was signed into law, after unanimous passage in both the senate and house, by President Eisenhower on May 29, 1958 (Sunday Oregonian, 22-June-1958). 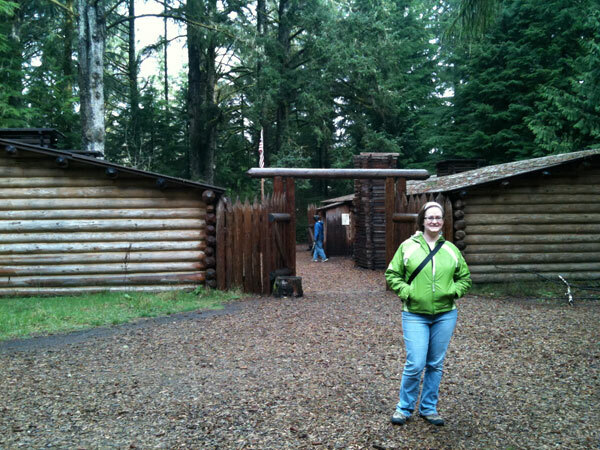 The Lewis and Clark expedition built the original Fort Clatsop, the first American military structure west of the Rockies, in 1805. They wintered at the fort before setting out on the journey back east on May 23, 1806. A replica of the fort constructed on the site had been dedicated during the Lewis and Clark sesquicentennial celebration in Astoria in 1955 (Sunday Oregonian, 21-August-1955). It burnt down in 2005, but was rebuilt in 2006 (with fire detection system).